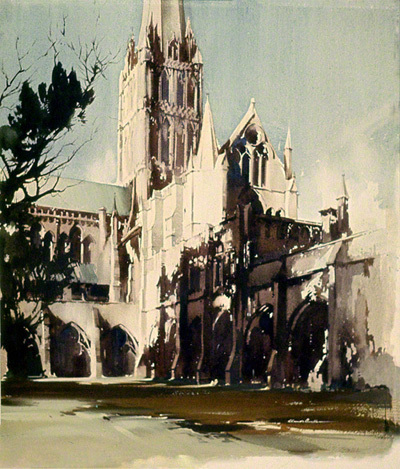 The Cathedral paintings by Claude Buckle span the length and breadth of the United Kingdom. This page also includes Churches and Abbeys. 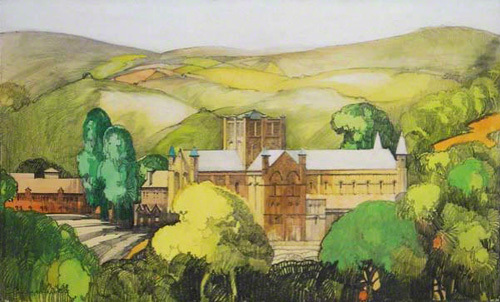 The Cathedrals of Winchester and Salisbury were the most loved by the artist, resulting in a number of published commercial pictures made for the railways and watercolours made for the private market. 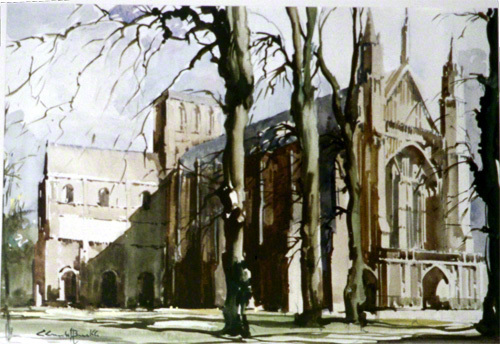 Winchester, Salisbury, Lichfield, Exeter and Canterbury, from the carriage print series, are shown first and are some of the best architectural water colour paintings of Cathedrals by the artist. 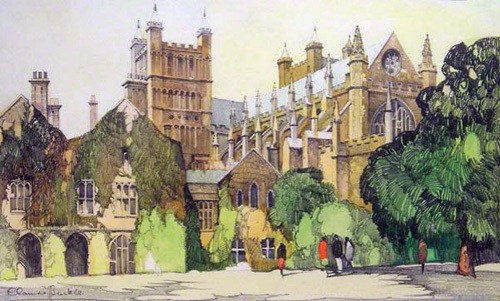 The original artwork for Canterbury, Winchester and Lichfield survive. 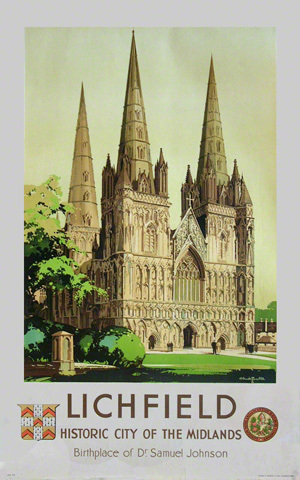 Claude Buckle’s poster work also included Cathedrals and one of the finest, Lichfield is shown. 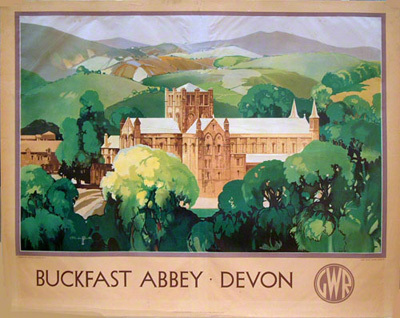 Also shown is Buckfast Abbey and the pastel sketch which was the basis for the poster. 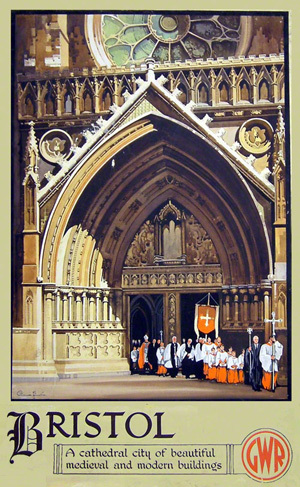 Other notable posters include Southwell Minster and St Albans Abbey. The original artwork for both these posters survives. The three choirs Cathedrals of Worcester, Gloucester and Hereford are shown together with the magnificent entrance to Bristol Cathedral. 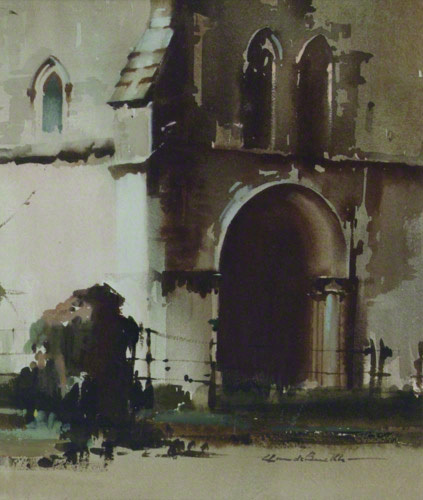 The Ile-de-Re church is an example of a later (1969) water colour painting. 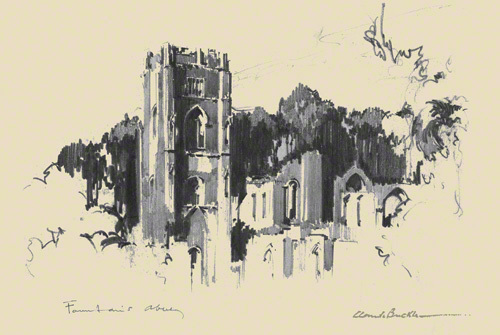 Three pencil sketches of Cathedrals/Abbeys are included. 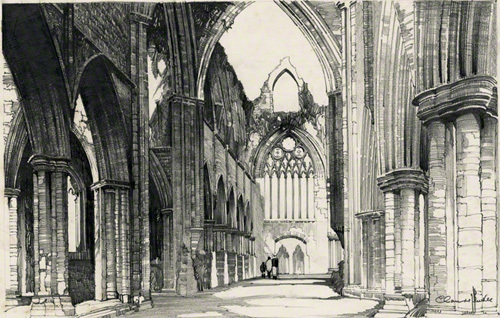 Tintern Abbey is a pre-war example where as Durham and Fountains Abbey are examples of post war sketches and demonstrate a much more refined technique. In addition to the pictures where the Cathedral is the main subject matter, there are others showing them in the background. The English countryside is characterised by the many cathedral and church spires one sees at a distance. Please see the poster page for more examples. 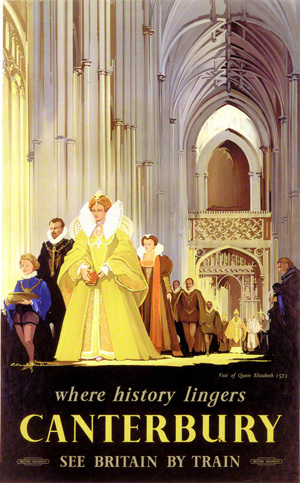 Cathedral paintings have always been popular and used to advertise fashionable tourist destinations. 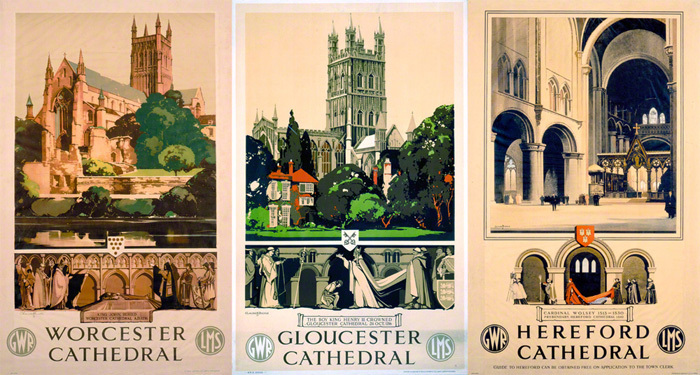 The railways in their poster advertising campaigns made good use of the many cathedrals situated on main line destinations. 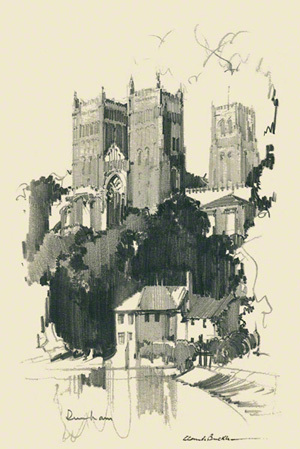 In his book, Poster to Poster NE on page 49, Richard Furness, shows examples of Durham Cathedral by two of the most prolific Cathedral artists Claude Buckle and Fred Taylor.